Former Vice President Joe Biden says that he believes the U.S. has never been closer to nuclear war with North Korea. 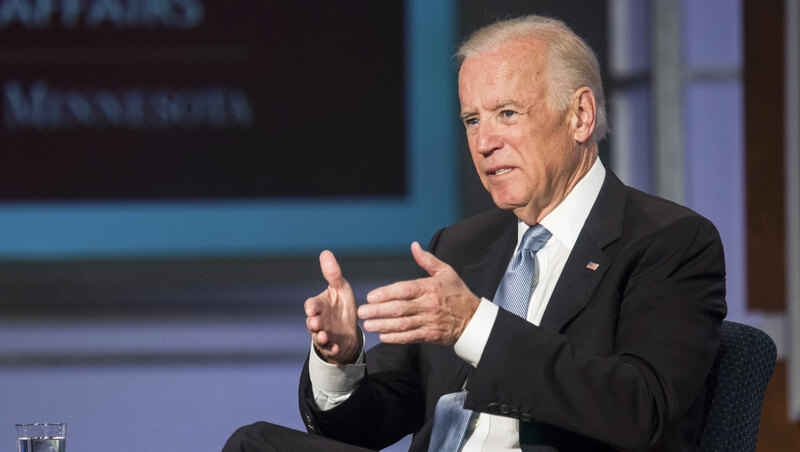 In an interview with PBS NewsHour's Judy Woodruff, Biden was asked if he agrees with Admiral Mike Mullen's sentiment that the U.S. has never been closer to a nuclear exchange with the rogue state. "Yeah, I do," Biden said in an interview that will air Thursday night, "And that's why I think that what I worry about -- and I'm worried from the beginning -- is about fundamental miscalculations. This is not a business deal. This is not about who builds the next skyscraper." Biden said that the Trump administration inherited, as the Obama administration did, "an incredibly difficult problem in North Korea." The former vice president said that there's "no easy answer" except that it involves limiting North Korea's capacity and working with China, Russia, South Korea and Japan. "When we engage in activities like 'let's compare the button,' they all -- for different reasons and different motivations -- lose confidence in us," Biden said. "They wonder what the hell we're doing. I'm worried they then decide they're going to try separate ways to figure out how to do this. "This can't be done in a way that doesn't have all the players in the game on the same page and the other thing is you draw these lines and you don't respond, you diminish your credibility and it's just dangerous," he added. This comes after President Trump tweeted Tuesday night in which he boasted about the size of his "nuclear button" and how it's "much bigger & more powerful" than North Korea's. "North Korean Leader Kim Jong Un just stated that the Nuclear Button is on his desk at all times.' Will someone from his depleted and food starved regime please inform him that I too have a Nuclear Button, but it is a much bigger & more powerful one than his, and my Button works!" Mr. Trump tweeted. During the interview, Biden also weighed in on the situation in Iran and repeated his regret about how he didn't protect Anita Hill enough during the confirmation hearings of Supreme Court Justice Clarence Thomas in 1991. Biden, 75, has been actively appearing in media interviews lately and is a possible 2020 presidential contender. In November, however, he said he was not sure if he plans to run. "I'm just not sure it's the appropriate thing for me to do," he said in an interview with Snapchat's Good Luck America.